who said you had to pick just one? I suppose that's safe, but most of us just list a bunch that we like. I tried reading Kevin and Kell but while I like the concept, it just is a bit too flat for me. I had trouble getting too far in the archives. I liked that comic until the birds left then it started to go down hill and I stopped reading. I think I got to the point where it turned out Kevin and Kell's adopted daughter was originally from the human world or something like that IIRC, its been forever since I read it last. I just started reading a comic called "Pride of Life" that is pretty good. Its an anthro comic with elements of adventure and comedy. I recommend it. Its story and writing style are heavily influenced by anime and manga, but the art style not as much. well, I guess i can understand why people dislike it. A few others I read- Goblins, weregeek, Downscale, Friendship is Dragons, Sequential art, Yet Another Fantasy Gamer Comic, Deer Me (kinda boring, but I like it), Doc Rat, Red Tails, Endtown, Curtailed, Tales of the Questor and other comics on that site, and- of COURSE- Schlock mercenary. I don't think it can get much better than schlock. One graphic novel that I want to read is Dreamkeepers, but I can't 'cause its got some naughty stuff in it(it's that very thing thats barring me from reading it). I don't know if this was posted already, but I really enjoyed endtown. I just realized that after praising "Pride of Life" I forgot to add a link. I read through the entire archive of BY The Book a couple nights ago instead of working on a paper. If you're a nerd like me and like D&D you'll probably dig it. My favourite webcomic would be a toss-up between "Housepets!" , and the old comics "Time Trouble" and "Chip and Walter" by Jonathan WB Gray. 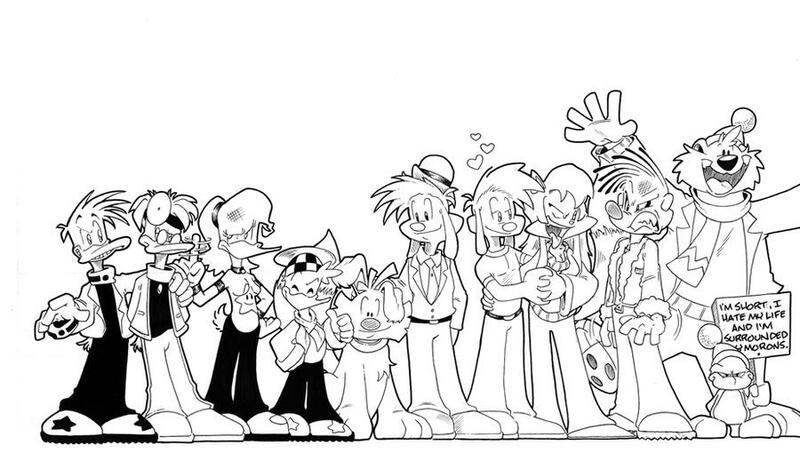 Those comics are no longer online anymore, but if any of you where reading webcomics back in 2004ish you'd know Chip and Walter was one of the most popular of its time. 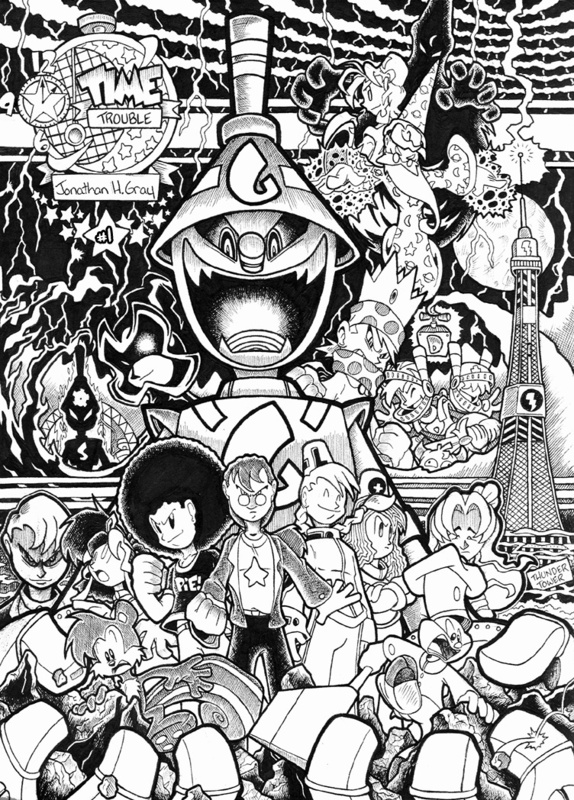 I talked with Dub (Jon Gray) recently and he said he's working on rebooting the comics, but its tough to balance it now with his professional work. Aside from those, I also like "Slightly Damned", "TwoKinds", "DreamKeepers", and "Other M" which is also unfortunately taken off the internet, but you can still find all 32 issues on the website "SonicVerse Team" under "comics". As for comics, "Sonic the Hedgehog", "Sonic Universe", and all its sister titles are the only comics I collect. And graphic novels? I pick up "Sonic Archives", "BONE", and I'm starting to get into the "Dreamkeepers" Graphic Novel saga. And thats about it, any other fans out their of these things? 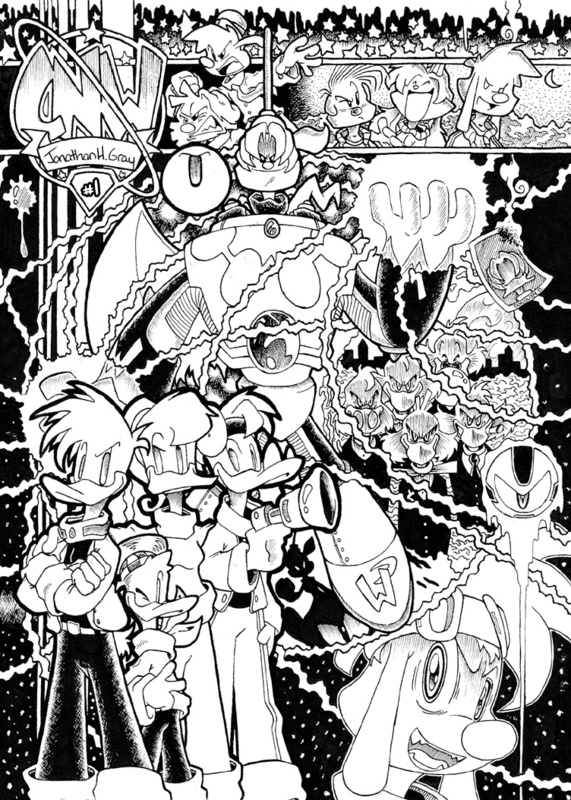 I read the Sonic comics when I could get a hold of them. I actually, I have the first issue. It was closes we would ever get to a third season of the Sonic cartoon. I cannot praise "Bone" enough. It is an awesome comic. Its a shame that it concluded, but it was best for the story. I've found this new webcomic in fA the other day called Wuffle. It's about a handyman wolf and how he solves problems around him. I think it's really cute, and the artist's style is reminiscent of the early 20s. Yeah I read that comic too It is very very adorable. The creator of Ozy and Millie has a new comic. Its about a little girl and her friend, a unicorn. It looks silly and fun. Ooooh. I hope it stays silly and fun! And not... soapboxy. In the effort to get my mind off some recent events, I've been reading some Japanese doujins I found on this particular website. There are some furry/anthro stuffs in there too, which is cool. Then, I stumbled into one that started out innocent and lighthearted, then quickly becoming very heavy and melancholic. I felt even more depressed thanks to that doujin, but at the same time, I can't wait for the next installment which is due to come out in Comiket this year. Sorry I can't share the title here, since the doujin is rated M or higher. Now to forget about it for a bit. I've been getting into slightly damned lately. I'm still getting through the archives but it's pretty cool so far. I loved the story of crimsom flag. Thanks for pointing it out for us. You already knew about it, huh? 0.0"
@Khasimir: no, no. I'm just thanking you for showing this. When you posted the link I decided to read it all and I liked the comic. I'm thanking you for making me discover this comic. Dead comic is dead, but dead comic is also awesome! Or... what little of it there is. It only lasted for a prologue, and almost two issues, but whats up is still a pretty neat read (especially issue 2). I don't suggest going the comic to get into a story, but the art style is DEFINITELY worth a look! You mean as preachy and with its head up it own rear end with messages? So far it is just silly humor and I hope it stays that way. But, lets face it, "Ozy and Millie" was just a furry rip-off of "Doonesbury", complete with a character that is based on Hunter Thompson. I just got a graphic novel called "Riven" that is very cool. Its about a girl who wakes up from a coma and discovers that she is now a werewolf. The story and art are great and the werewolves look awesome. Check it out. 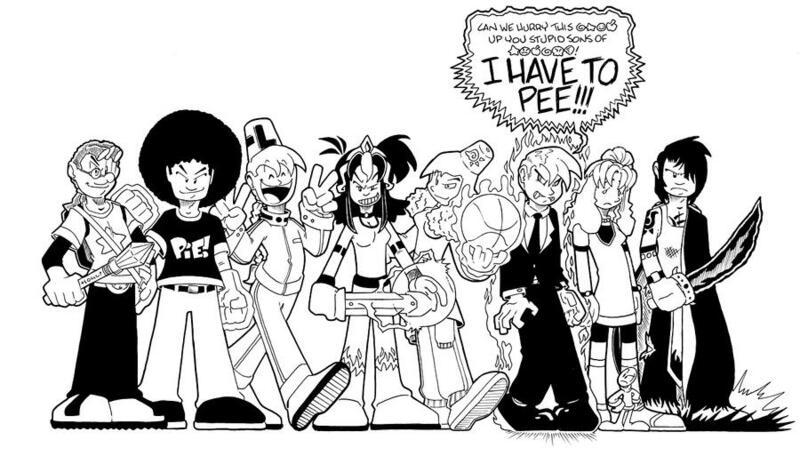 Here is another good webcomic that I think everyone should watch is "The Furry Experience". 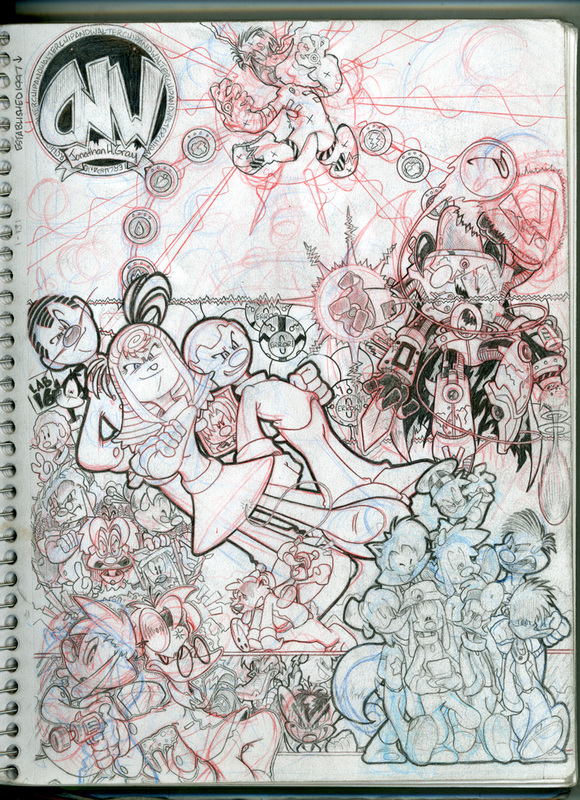 Its about three anthropomorphic animal girls who are college roommates at college in Salt Lake City. Its funny and endearing. I highly recommend it! I love the art, the characters, and the time period. The best part of Lackadaisy is it takes place in my town. I liked Lackadaisy too, but it's barely updated anymore. HP is too snarky and sardonic. It's never really updated with much frequency. I remember it used to have a rule of 2 or 3 page per month. And I don't remember it ever having any scheduled updates or anything. Oh, and that being my favorite, Housepets! is right behind at number 2! 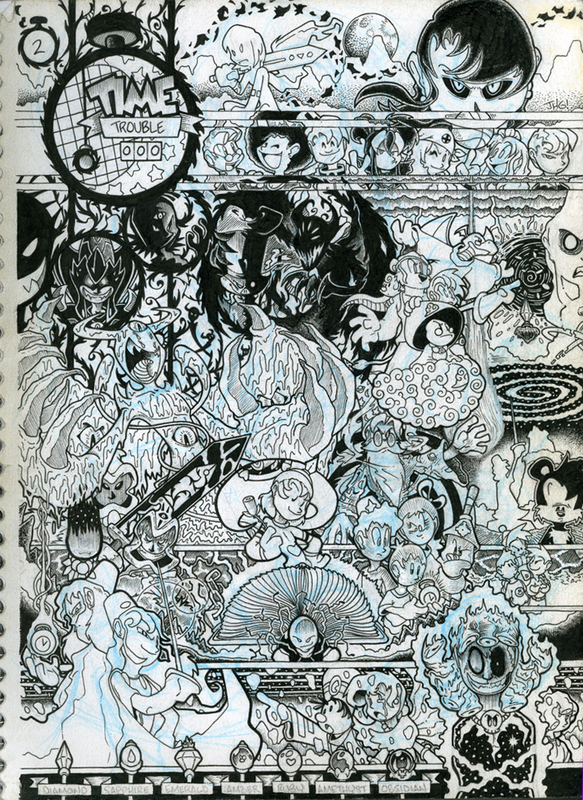 This guy has other webcomics on the golden bar at the top of the page... they're well worth perusing. Just went to the comic shop to day and got what is said to be the last "Hellboy" series, "Hellboy is Hell". It picks up right where "The Fury" left off. I hope that it is not so! I love this comic. But, on a positive, Mike Mignola is drawing the art for it again, not just writing. I have gotten into the new Godzilla comics. Its great because they have brought back all the classic monsters. One story line titled "50 Years War" is about a Japanese soldier who experienced Godzilla's attack on Tokyo in 1954 and he decides to devote his life to destroying the monster. 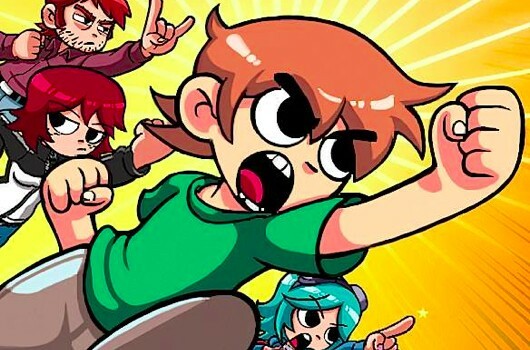 I'm currently reading the Scott Pilgrim books. Cause he's awsome like that!! A Marvel comic that I sort of discovered after it was turned into a low budget film for Sci-Fi Channel. It has an unfortunate title, "Man-Thing". It has the basic premise of a scientist turned into a swamp monster by an experiment gone wrong, but it goes far beyond that. The monster that is the star of the book usually takes back seat to the comings and goings of the humans that live in the town near his swamp. He gets involved when he needs to but usually acts as a silent observer. When other monsters and all too human villains get involved he takes them apart. When the comic was adapted as a film they changed the creatures origin to that of an ancient plant spirit that dwells in the swamp and is angered when developers start destroying the swamp. A comic by the films writer was published to act as a prequel. 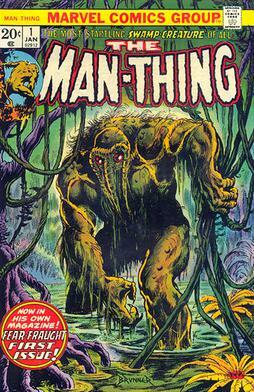 When it was collected into a graphic novel, they also included the first story with the Man-Thing and a story that influence the film's script. It is surprisingly good and Neil Gaiman sited it as one of his favorites. I can see why.